"It is common sense that the impact of each disaster is unique"
The Federal Emergency Management Agency says it didn't handle housing vouchers for displaced residents of Puerto Rico any differently from those of displaced Texas and Florida residents after last year's hurricanes. FEMA said in court papers filed Friday that it's unfair to compare the three responses to the hurricanes because the governors of the two states and the island made different requests for federal assistance. The agency is fighting a lawsuit brought by Puerto Rican evacuees who are asking a judge to extend vouchers allowing them to live in hotels until they find more permanent housing. The vouchers expire at the end of the month. "It is common sense that the impact of each disaster is unique, causing different types and amounts of damage, and affecting different numbers of people," government attorneys wrote. Moreover, FEMA said in the filing that it had approved $3.9 billion in assistance for Puerto Rico for Hurricane Maria, $2.4 billion for Texas for Hurricane Harvey and $1.1 billion for Florida for Hurricane Irma. 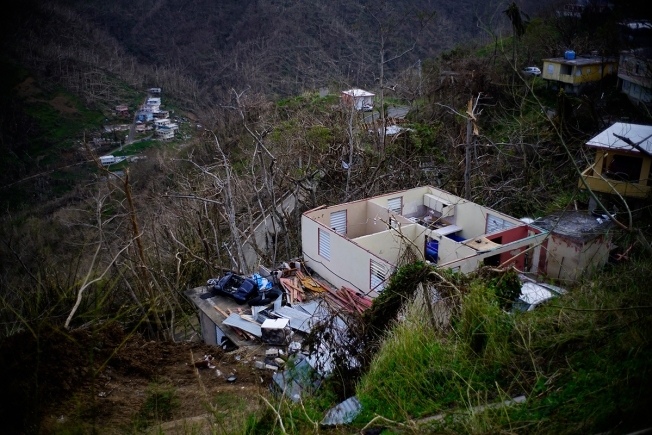 The evacuees said in a court filing Friday that FEMA isn't doing enough for the Puerto Ricans left homeless by Hurricane Maria, in contrast to how it treated Texas residents after Hurricane Harvey last year. Attorneys for the evacuees said FEMA had provided housing assistance in a "discriminatory manner." "FEMA is barred from either providing or terminating disaster assistance ... in an unequal manner on account of race, color, nationality, type of citizenship, English proficiency or economic status," said the attorneys for the evacuees. "Plaintiffs ... are mostly Spanish-speaking persons of color with a unique national identity and type of citizenship ... They were hit the hardest, needed the most but have received the least." Before ending the vouchers, the agency should make sure the evacuees find long-term housing, either through rental assistance or home-repair help, attorneys for the Puerto Rican evacuees said. Tens of thousands of Puerto Ricans are estimated to have moved to the mainland United States after last September's devastating storm. Hundreds of families are still using the vouchers. In many cases, FEMA workers have called evacuees and told them to go back to Puerto Rico, said the evacuees' attorneys, who called it harassment. In cases where FEMA has helped with rental assistance, the amount is based on Puerto Rican market rates and don't cover the more expensive rent in the mainland United States, the evacuees said. "This means that poorer Puerto Rican ... evacuees must remain in transitional housing for a longer period of time in order to amass the amount of money needed to move out," they said.